Guard Buildings for the Security of the Schoolyard | BIG Enterprises Inc.
Police stationed in guard buildings have played a key role in threat reduction and creating a safe and secure environment in a School District that spans over a range of 200 miles in the eastern U.S. On multiple occasions, the children were able to approach and inform School District sworn police officers about potential threats by contacting guards stationed in on-site guard houses. Guard buildings are also expected to play a key role in providing police guards with the ability to analyze video evidence. Because guards can’t be everywhere, video monitoring technology has been invaluable in combating crime on school campuses. These types of initiatives are expected to become more standard in the near future. The School District keeps all videos for many days, and in the future, it hopes to allow police to use the guard houses as headquarters to look over video evidence after receiving a report of an incident. This initiative is expected to further increase campus safety by allowing police to address a report right away rather than wait for city police to review the tapes. As technology improves, there will definitely be a need to keep more guard buildings on school campuses in order to accommodate improved security measures. Another way that guards have been able to stay on top of schoolyard crime is through the use of portable guard buildings, which are guard buildings that can be easily moved from location to location. Portable guard buildings are indispensable in allowing police and guards to adopt a new perspective and viewpoint at will, not to mention increase the element of surprise for anybody planning to commit criminal activity in the vicinity of school grounds. Essentially, when it comes to school safety, portable guard houses have been one of the first lines of defense, allowing an officer to adopt an ideal lookout in order to monitor a developing situation or a potential threat. Another hopeful future initiative will be to provide live license plate technology, allowing police to review video evidence on their phones while stationed in the guard houses. This call to action will improve campus security by allowing police to better identify suspicious activity and keep our schools even safer. The main point to take home is that schoolyard security is too important to neglect, and the presence of numerous guard buildings is essential to ensuring a schoolyard is kept safe. B.I.G. 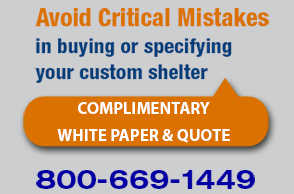 Booth Enterprises offers the best range of guard houses and portable guard buildings on the market at the best prices. They always have a range of options available to accommodate the unique needs of schoolyard security.